One of my favorite methods to use when I Paper Piece designs is Fussy Cutting. Fussy Cutting is using a motif in a fabric and cutting it to focus on the motif. You can see how I used it on the waistband of my Apron picture above. I also use fussy cutting to position a print in a desired direction which you can see with the apple print. The apples are running vertical and are centered on the front panel. I was able to achieve this by fussy cutting. 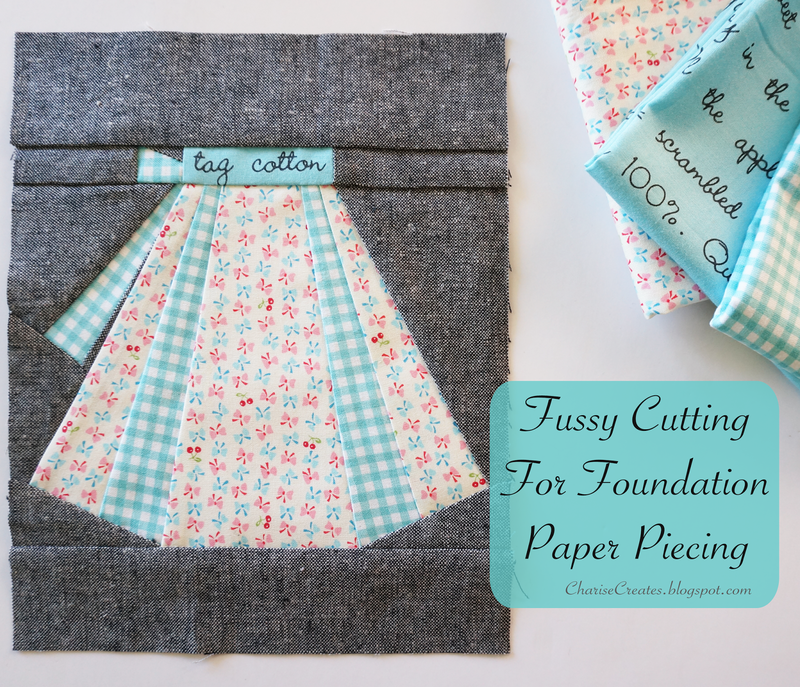 This is also a great way to conserve fabric since you are cutting only the amount of fabric you need. 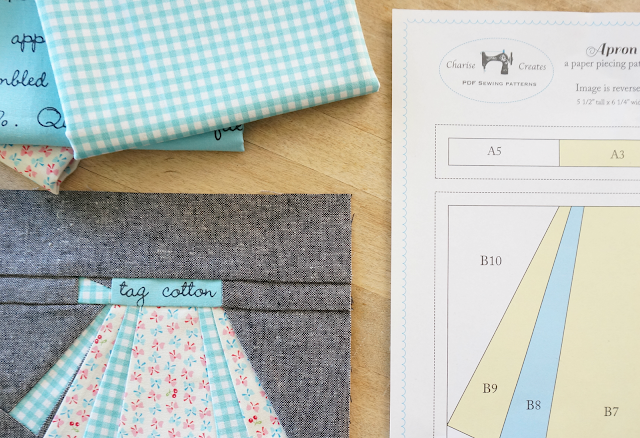 Print out an extra copy of the pattern. Cut out the section of the pattern you want to fussy cut. 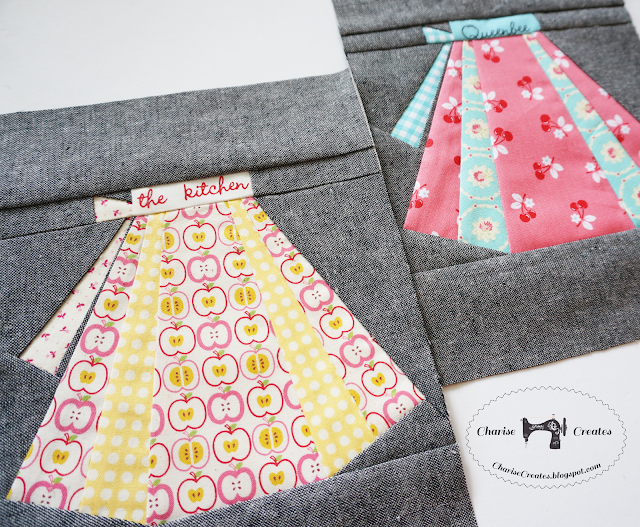 In this example, I want to fussy cut the waistband on the apron - section A3. Place the pattern piece, Right Side Up, on the Wrong side of the fabric directly covering the section you want to fussy cut. Use a bit of fabric glue to hold the pattern piece in place. In this example, I want the words "tag cotton" to be centered on the waistband. Using a C-thru ruler, mark 1/4" from the edge of your pattern. Use a rotary cutter and your acrylic ruler to cut around the pattern piece. Remove the pattern piece from the back of the fabric. You are ready to use the pattern piece! I like to save the pattern pieces to be used again. I keep mine in a sheet protector and file it in a binder with the pattern. soooooooooooooooo adorable!!! Clearly i need new fabrics!